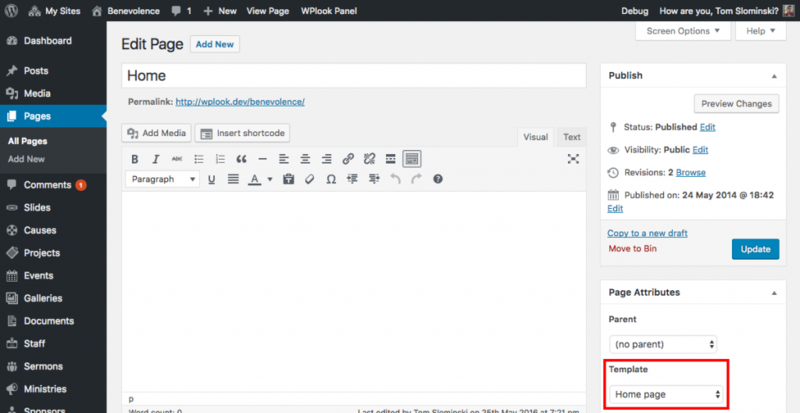 The WordPress Customizer in action. Accent Color 2: The secondary color for the theme, used in combination with the Accent Color and used for less important elements. Footer Text Color: The footer text color. Footer Header Color: Text color used for widget titles in the footer. Accent Color for Text: Color used for text headings. WooCommerce Price Color: If WooCommerce is enabled, this additional color will be used as the color prices are displayed in across the site. 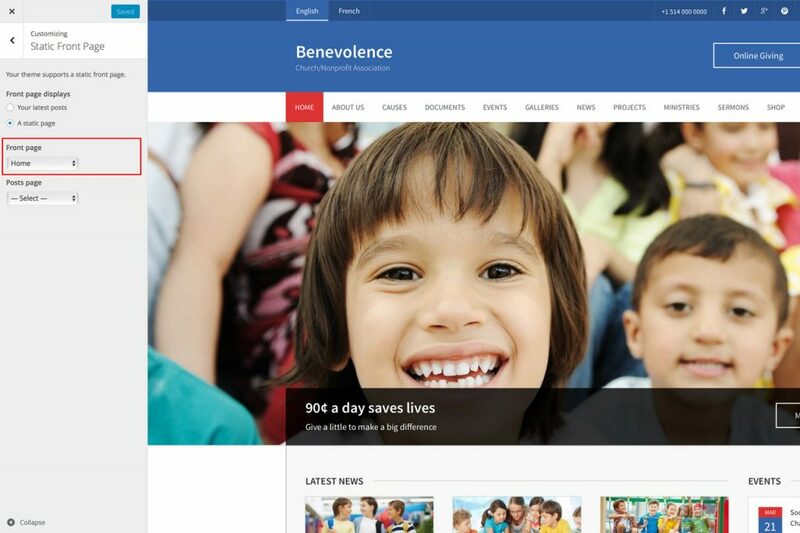 The page editor displaying the home page, with the Template set to Home page. You can configure the contents of your home page by navigating to Appearance → Widgets and adding any widgets to widget areas called First Home Page Widget area through to Sixth Home Page Widget area.